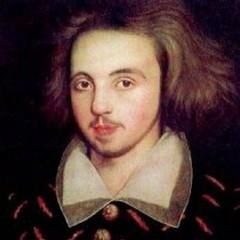 Born in 1553 or 1554 John Lyly was a dramatist, poet, writer and a courtier from an English background. He is remembered till date because of his contributions which are named as Euphues. The Anatomy of Wit in 1578. Other famous works include Euphues and His England in 1850. Today he is well known for his plays. His works are so popular that the style emerging from his book is called euphuism. John was born to the Lyly couple in Kent in England in Burgh Hall in North Riding of Yorkshire. His father was Peter Lyly and mother was Jane Burgh. He was the first born of the eight children of the couple. His father was a registrar at Archbishop Matthew Parker. 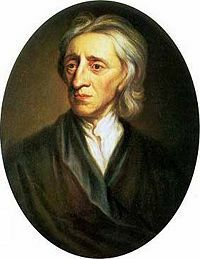 His grandfather was a grammarian and known as William Lyly. John enrolled as a student at Magdalen College in Oxford at the age of 16. He completed his bachelors as well as his master’s degree at the same college. Later in 1574, he applied for a fellowship under Lord Burghley but it was not granted. He then left the university. He created a reputation of a noted wit at the university but still wanted to connect with Lord Burghley. He called him the Noble Man and in his Glasse of Europe, called his the latter part of the Euphues of 1580. John later became the private secretary to Edward de Vere, 17th Earl of Oxford, Burghley’s son in law. It seems he was the patron to literary associates of Lyly when they decided to leave Oxford. John Lyly later got control over the Blackfriars Theatre in 1580 where kids performed his plays in the presence of the Queen. His relationship with his patron and friend, Edward de Vere was jeopardized in 1582. The reason for this was an accusation from the treasurer that Lyly was being dishonest and he had to appear in a personal interview with him to get a clean chit. After that, Lyly did not receive any patronage either from Earl of Oxford or Queen Elizabeth I. 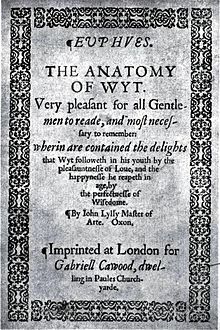 His composition, the Anatomy of Wit or the Euphues was licensed to Gabriel Cawood in December of 1578. It got later published in the spring next year. Later that year, he enrolled M.A. at the University of Cambridge. There he saw an opportunity to get an appointment at the post he has been aiming to the Master of the Revels office by a meeting with Edmund Tylney. The second part of his book, Euphues and his England was out in 1580 and just like the previous one was popular in no time. For quite some time after that John was the most fashionable and successful English writer of the time. Even though his books were successful, John almost gave up novel writing and was immersed in playwriting. His plays, Campaspe and Sapho were presented at the court in the year 1582 through Lord High Chamberlain as the Earl of Oxford’s station. Around eight of his plays were acted before the Queen and a couple of them were repeatedly performed for the audience. The classical colours, brisk lively lines and frequent allusions were maintained in his plays as well just as in his book, Euphues. John had a seat as a member for Hindon in Wiltshire in the parliament in 1580. Later, he sat for Aylesbury in Buckinghamshire in 1593 and then for Appleby in Westmorland in the year 1597. He enjoyed the seat for Aylesbury for the second time in 1601. During this period, John filed two petitions to Queen Elizabeth I. The transcripts for the both of them are not dated but in both of them, he speaks of being in hope of promotion. The first petition claims that he had been waiting for the growth for ten years and in the second one the period is 13 years. Though it is said that he was rewarded by the Queen but there is no evidence to prove the same. Additionally, there is no record of his continuation at the court after that either. From the last decade of the 16th century, his works and reputation both declined. At the time of his death, he was poor and alone. Majorly, he was also neglected under the rule of King James I.
John was a married man was blessed with a daughter and two sons. He passed away in November 1606. Even though he was known for his work of Euphues during the reign on Elizabeth, he is now known for his dramatic writing style and the pattern of his creation. The proverb “All is fair in love and war” has been attributed to Lyly’s Euphues.